The 115-watt Corn bulb is 180 degrees. This self-contained LED bulb replaces 320 and 400 watt HID Metal Halide bulbs. So, is the light comparable? To look at a HID Metal Halide 400-watt flood fixture side by side with the 115watt at nighttime with the light on there is no real difference in light output or color. In daylight, there is a visible difference if you are close enough to see the bulb. Why is the bulb so efficient? The LED chips are aimed only at the area to be lighted. 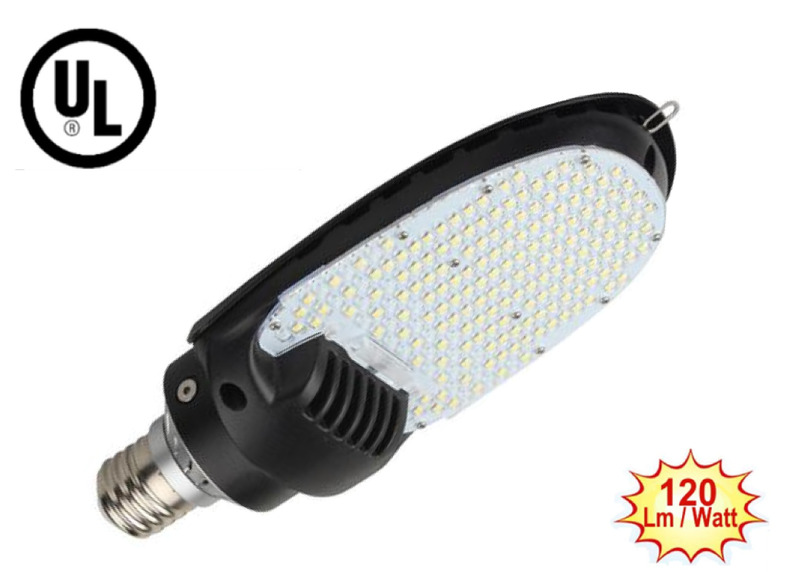 This bulb has 13,500 Lumens and has a kelvin of 5000 which produces a white light that closely matches Metal Halide. These types of bulbs last 50,000 hrs. as do most LED fixtures. They use quality Philips LED Luxeon crystals. What if the bulb is tight but not in the right direction? The 115-watt 180 degree directional has an adjustable lamp base that rotates 270 degrees. Good information to know about this bulb: The bulb has a built-in fan Total weight is 2.9 pounds Supply voltage is between 110-277 volts package Dimensions are 11.69 x 5.43 x 3.4 inches . The 180-degree corn bulbs fit where the standard 360-degree cylinder corn bulbs are usually too long to fit the housing.